Flair Air (formerly New Leaf) is showing non-stop flights from Vancouver to Kelowna and Edmonton for travel in April and May for $98 CAD roundtrip including taxes. There are some Thursday to Sunday trips available. 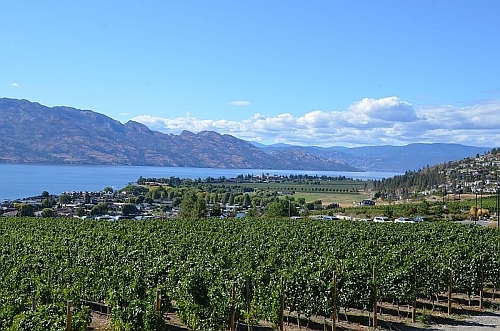 To Kelowna: There are some Friday to Sunday and Monday trips available. To Edmonton: There are some Thursday to Saturday trips available. 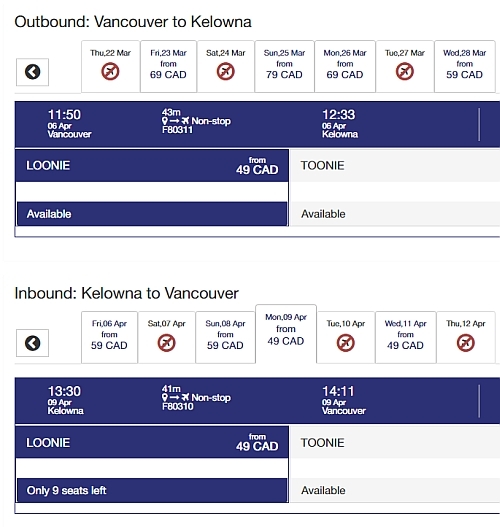 Vice-versa trips (eg: Edmonton or Kelowna to Vancouver) are also available for the same price. Flair Air's lowest prices now include both a personal item and carry-on. 2. Search for a flight from Vancouver to Kelowna or Edmonton. - Look for the $49 dates in April and May. vancouver, yvr, flight deals, canada, alberta, north america, british columbia, bc, kelowna, ylw, edmonton, yeg and flair air.